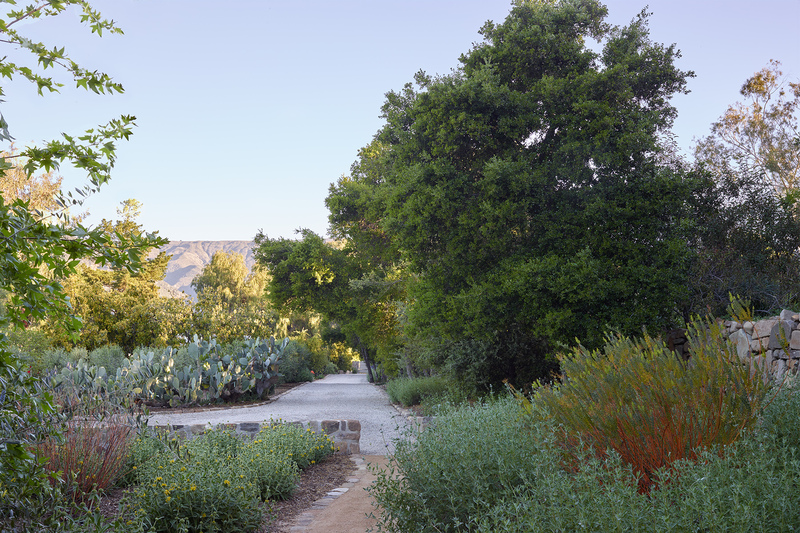 A five acre site in Ojai with mature Avocado trees, ancient Oaks, a main house, pool house, guest house and studio building had been neglected for many years. 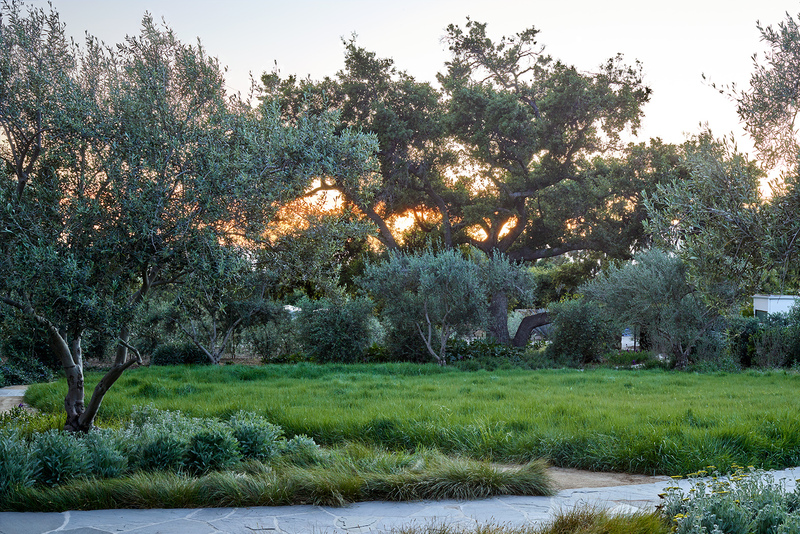 In consultation with the new owners, the landscape architect started by designing a Master Plan for the phased development of the property into a coherent, self-sustaining and beautiful family compound. 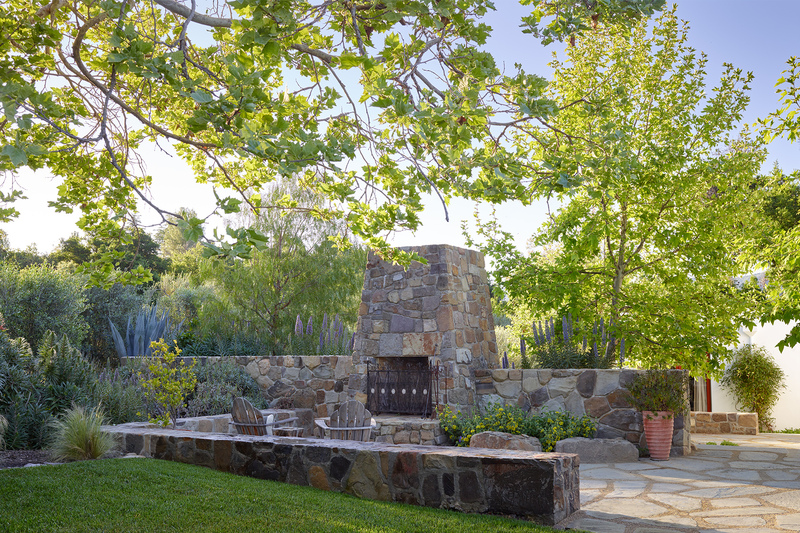 A 5’ wide stacked stone wall around the perimeter was built with stone collected from the site. 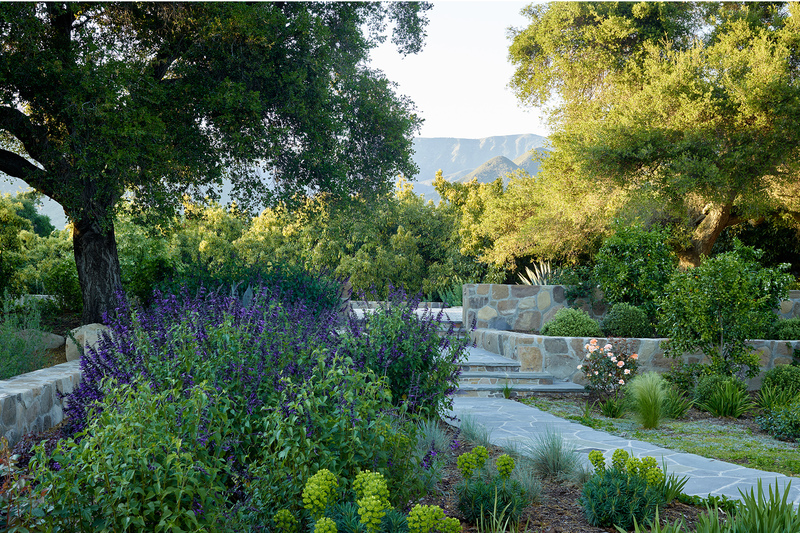 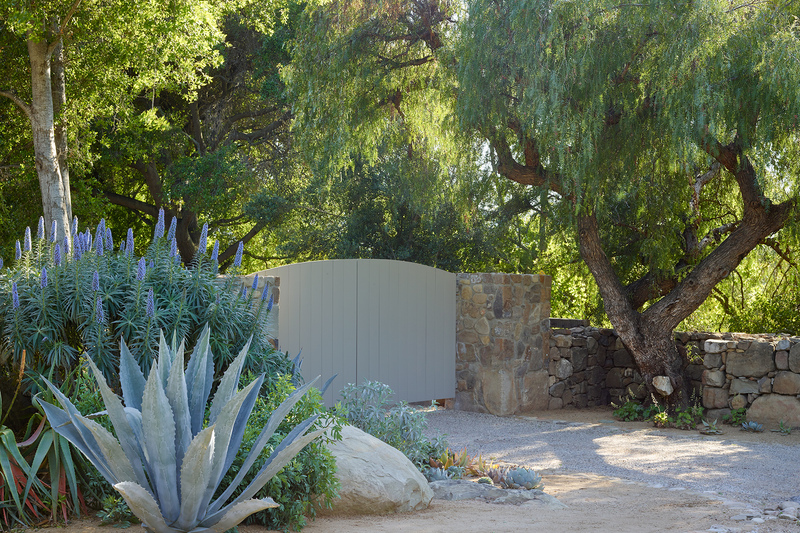 The base of the wall was planted with California native succulents, wild lilac and sages. 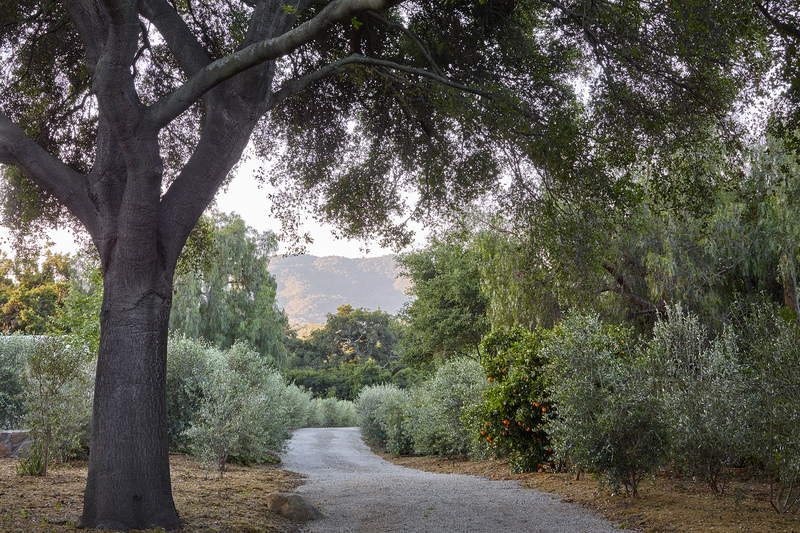 The entry drive leads past the renovated Avocado grove to a newly reconfigured parking court in the shade of two large Oaks, with new gravel paving and stone gateways. 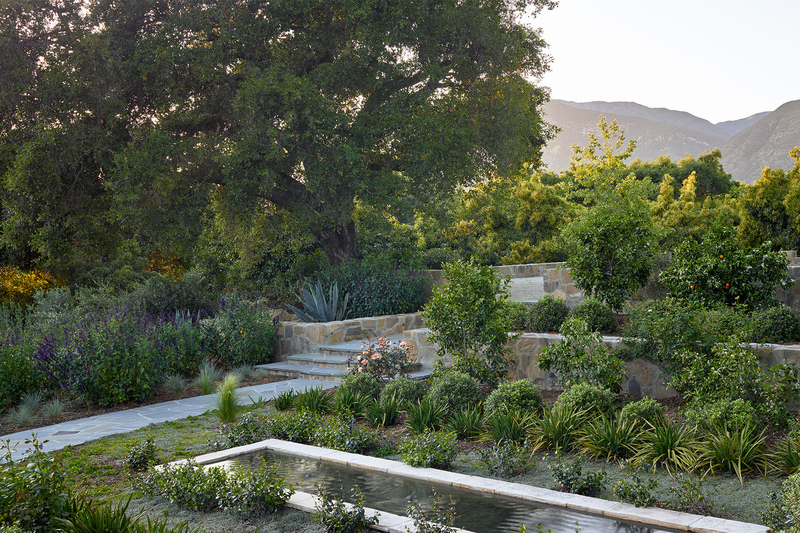 A wide series of stone stairs lead to the front door past terraced fruit trees, vegetable beds and a bubbling rill water garden. 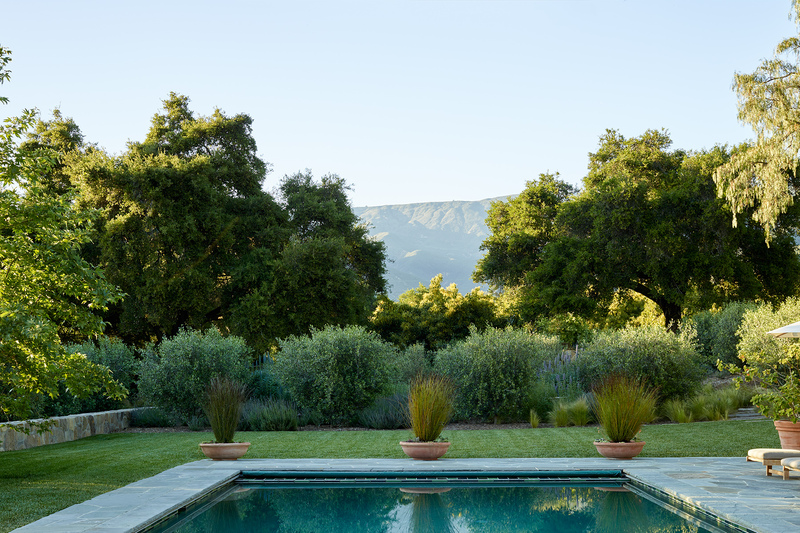 A new pool and sauna were constructed adjacent to a stone terrace and lawn for family games. 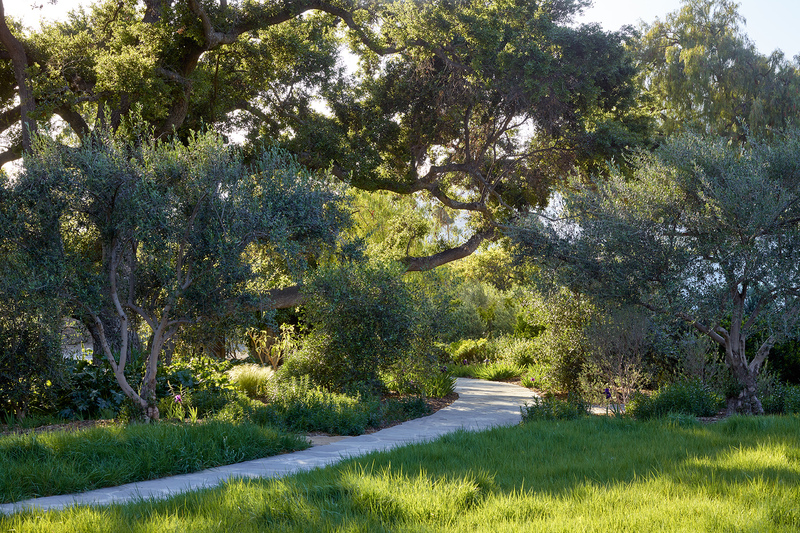 A working grove of fruiting Olives was planted from slips in the rear, filling in the spaces around a wide open, oval meadow planted with native California grasses and wildflowers. 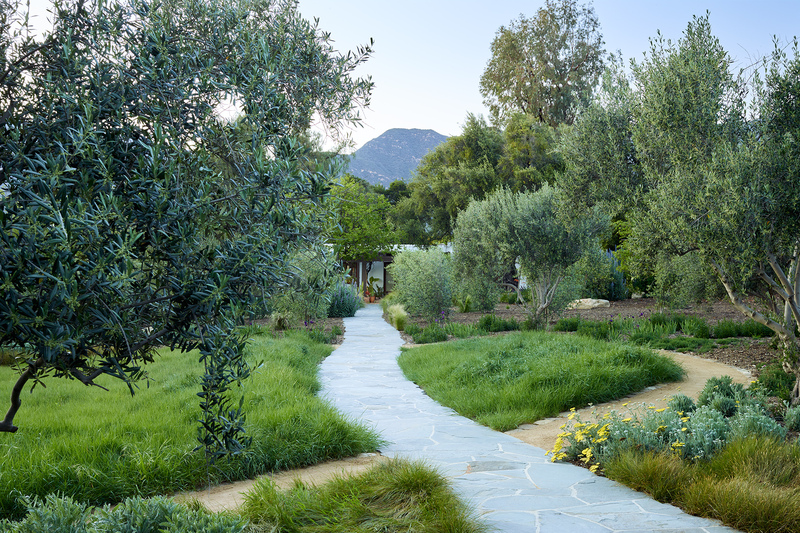 A decomposed granite path winds from grove to garden to meadow, connecting the land to the various homes and work spaces.